These reviews are tough and all over the place most likely because this tire has changed a lot over the years ... but six months after mounting this TCS model up front on my Tallboy LT in spring of 2013 I can honestly say I would never consider another because it is the best I've had, bar none. The new Weirwolf has more than proven itself on the trails in Downieville, Bend, Ashland and my home turf in Santa Cruz. Can't say how it performs in mud yet. Run it up front paired with a Wolverine in back ... so obviously big fan of WTB. I currently run these with tubes but plan to go tubeless next chance I get. Yeah it is a little pricey but worth every penny, no question. Absolutely no issues with wear. Highly recommended. Seems like decent tread and quality. My "2.3" is really a 2.12. That's measured from outside of outer knob. With so many ordering these online this is bogus. A little bit off is cool but this is going on a 1/4" off. The "2.3" in my world is suitable for a rear xc tire in hard pack as the knobs are too small for gravel. 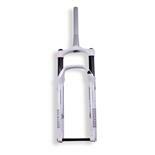 Too small for front unless you like them old school skinny style or need them for xc racing. Front end grip, corners like a roller coaster, and long lasting tread. None yet, but I haven't ridden them in wet conditions. 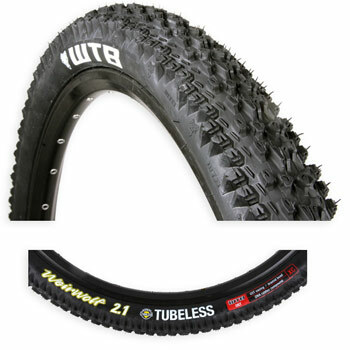 I'm running these tubeless on a Haven (Al) wheels on a 2012 Trek 9.7 (19.5"). I'm 205 lbs at 6'-2". I ride mostly in the Tahoe area, Auburn, Folsom/Granite Bay/El Dorado Hills area. The trails here are mostly dry and somewhat loose in the summer with plenty of technical rock gardens. I have raced XC on these and never had a problem. The WW is my favorite front tire. Some people I know run them in back as well with limited grip unless you run the tire backwards so the claws dig into the trail. Most likely, you're better off running another tire in back. Climbing traction and overall ride. Cornering, side grip, build quality is a question mark. For reference, the tires are mounted on full UST rims without sealant. 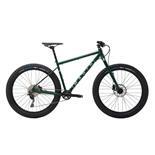 Used for trail riding on packed, loose, and/or rocky singletrack. The tires mounted, aired, and seated without issue. No special tools, and a floor pump was sufficient to seat beads. The tires biggest strength is straight line traction. I noticed a definite improvement while climbing, did not have to balance my weight as carefully to prevent spinning the tire (compared to the Nevegals). Also pleased with the overall ride, it may be due to the slightly larger 2.3 size but the bike goes over the rock gardens and rough stuff with a bit less drama. Lively but controlled on the downhills. Have not had a wet ride on them so cannot comment. The side grip isn't there. I was totally surprised by the front sliding sideways off a loose-ish hillside. The section was in no way sketchy and my buddy (on the same line) rode right through it. On some faster downhill sections I just did not have the confidence to really push in the corners. Surprising since the tire seems to be billed as a carver. Potentially an issue. Of the first pair I ordered, one leaked through the tread before I ever rode it. Hucknroll replaced the tire without question. Now, after three rides, the front tire has a leak in roughly the same area of the tread. It certainly could be a puncture but I cannot see any foreign object and based on my previous tire, I'm worried this could be a trend. I will be installing Stan's sealant in the hopes of preventing more leaks. At the sale price ($32.48) it's a great deal for a full UST 2.3 tire and I'd likely buy again. Well, providing I have no further quality issues. But at the full $60-70.00 price per tire I'd try something else. I like this tire, I really do, but I have stopped running them as they are too subject to sidewall failure. 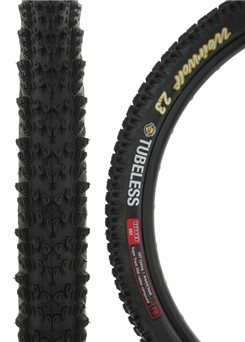 I had been running the TCS tubeless almost exclusively front and rear for almost two years and have gone through about 8 tires. Of those 8, 3 have failed due to sidewall cuts and one had the tread sliced through by a rock. Two of the failures were in the Downieville area and two were in the Chico area. Chico is very rocky but in 20 years of riding 'other' tires I have only had one sidewall failure. Downieville is just not that rocky or technical. Tires should not fail there. In sum, a very nice but unreliable tire, which is a shame as they had a lot going for them. Awesome grip during corning and climb. Soft rubber compound and specially designed side knobs really hook up. Able to run very low pressures with tubeless setup. Soft rubber side knobs wear out fast. Not a super fast roller. I really love these tires. The very thing that makes them great also is their nemesis. That is the soft rubber knobs. These wear fairly fast and you lose a little corner grip. The rear tire tends to wear out faster than the front. 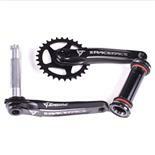 Best used if you have a twisting hard packed single track that requires a lot of grip. Very playful and fun tire. No other WTB tires used. Great dry draction. These tires are extremely predictable in dry conditions. Also did well in loose/rocky conditions and on slick rock. Seemed to roll well and gave lots of good feedback under braking. Sidewalls fared well getting scrapped against granite and cactus. 2.1 size holds true. Disclaimer: Review for Dry conditions only!! Well priced for the online deal that I found. Good rolling resistance and manageable skidding. Bad traction on wet, muddy and loose surface. I have to admit I only tried this as a rear tire this winter. So I haven't had a chance to ride them on a dry hardpack surface. They haven't been acting good on wet. As they have good climbing traction while on the saddle they easily loose traction uphill when you get off the saddle. It just wont roll over wet roots and rocks. Due to their design they gunk up easily with mud but they shouldn't be used under those conditions anyway. It shows very predictable skid on corners. Feels like it s gonna be good on dry hardpack. Lot's of grip, much more than the WTB Wolverines I had before. You can just toss the bike into corners. Climbing and braking grip is also very good. Rolling resistance is suprisingly good considering how well they stick to the trail. When they finally break away it's very smooth and controllable. First 50 miles of use has shown little wear. Heavy. I bought the 2.3 size, looks narrow. Great tire. I'm happy so far. It's much heavier than my last set of tires and I really felt it the first couple times out. Now that I'm used to it I dont really care. I'll take the added grip even though it costs acceleration. 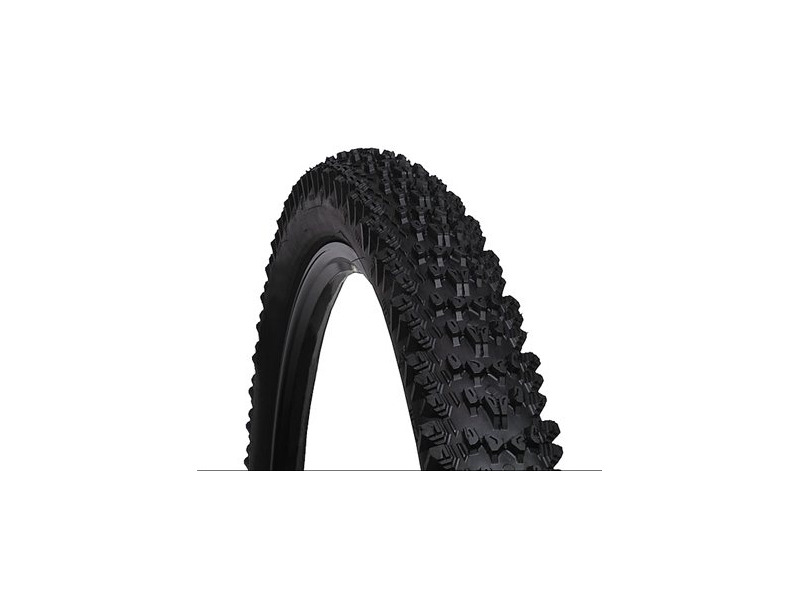 I'd highly recommend this tire for riders looking for traction in the corners with pretty decent rolling resistance. If you get them for as cheap as I did it's definitely worth a try even if you are happy with what you have. 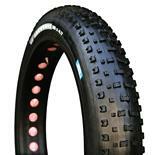 I've tried all kinds of tires, most recently I have burned through a set of WTB Wolverines. I was hooked on the old line of Wolf tires. When these came out, I bought one for the rear and hated it. Then I gave it another try and bought one for the front and hated it even more. The old style really hooked up in loose terrain (really bit). This one has a more controlled slide feel to it and just feels heavy. The casing seems small for a 2.3, more like a 2.1. Also, any small amount of mud and go home, this tire packs up like a fat man's bowels on cheese. Don't get me wrong, in the right conditions which is dry to slightly loose soil, this tire will do well. But for aggressive trails with loose rock very loose soil, this tire is all over the place. Its too bad they don't still offer the old style for special order. FYI, after trying countless tires trying to find one that rode like the old wolf, I found the golden tire. Continental Trail King 2.2. I can really rail corners and she doesn't pack up to bad in the mud. Wide casing on the 2.2 more like a 2.3 and only 650 grams. I'm sold. If the tires were cheaper and the 2.3 was a 2.3 and not more like a 2.1 I would give it a higher rating.